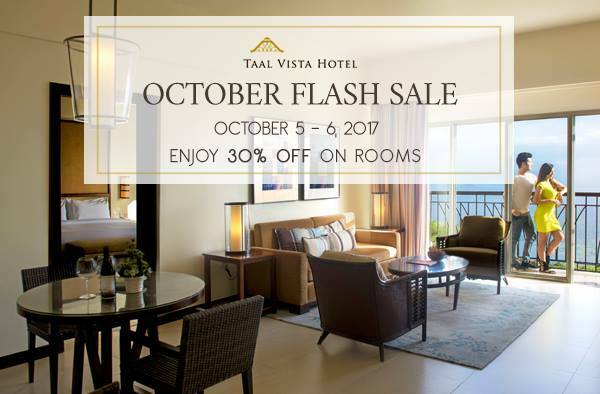 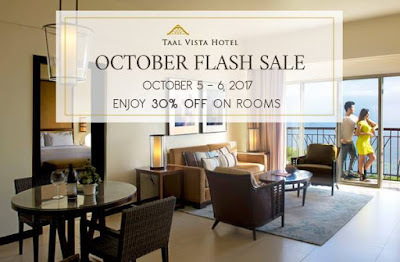 The much-awaited Taal Vista Hotel's OCTOBER FLASH SALE! 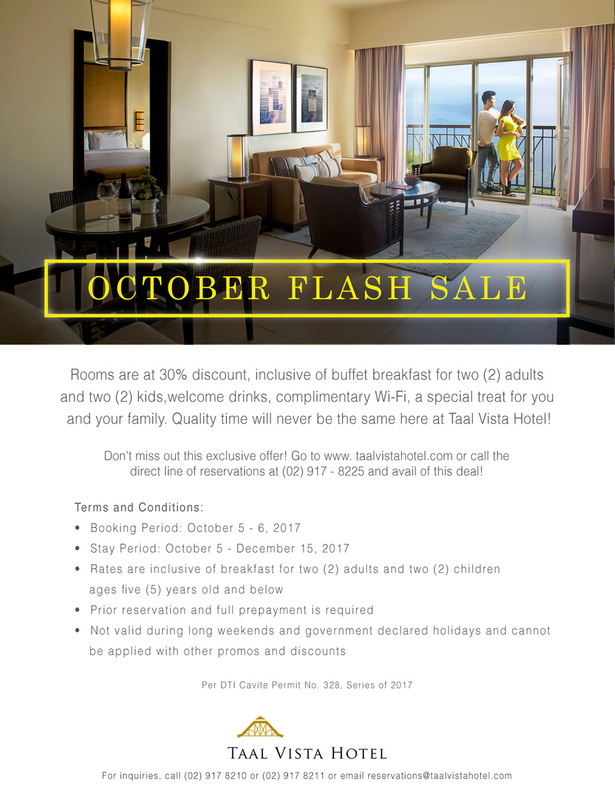 Book your stay from October 5-6, 2017 to enjoy exclusive 30% discount on room rates plus Buffet Breakfast for two adults and two children! Book HERE or call Taal Vista Hotel Reservations at (02) 917-8225!